" Worth repeating, for roses, the final objective in soil remediation is always deep, rich soil with high organic content,-- hopefully a year before you plant your rose bush in it. The display pictures of dew-drop kissed roses offered annually to the gardener are always perfect, elegant and alluring, whether they are found in a seed catalog, on a display shelf in a shopping mall, or on boxes lined up on benches at your local gardening center. Deep red roses, enchanting pink, yellow, white, cream, and other exotic colours attract attention and seldom fail to make promises of endless, gigantic and perfect blooms. In your own rose garden, perhaps the last bare-root yellow rose you tried resulted in a single, small bloom that was a sad imitation of the perfect rose on the box. The following spring, it failed to grow at all. Disappointed, perhaps you pulled it up and pitched it onto the compost heap, vowing never to plant another. Isn't it wonderful that with gardeners, hope springs eternal? If you really love roses, you are more than likely hoping for better luck this time and remain mesmerized by the enchanting lure of the roses in the retail displays. You will undoubtedly try them again. Is it a waste of effort, time and money? Not if you get to know your roses and plant them correctly. To get to know a rose and learn it's requirements is to be able to grow it more successfully. Is your rose a climbing rose, or an old heritage rose retrieved from an ancient farmstead? 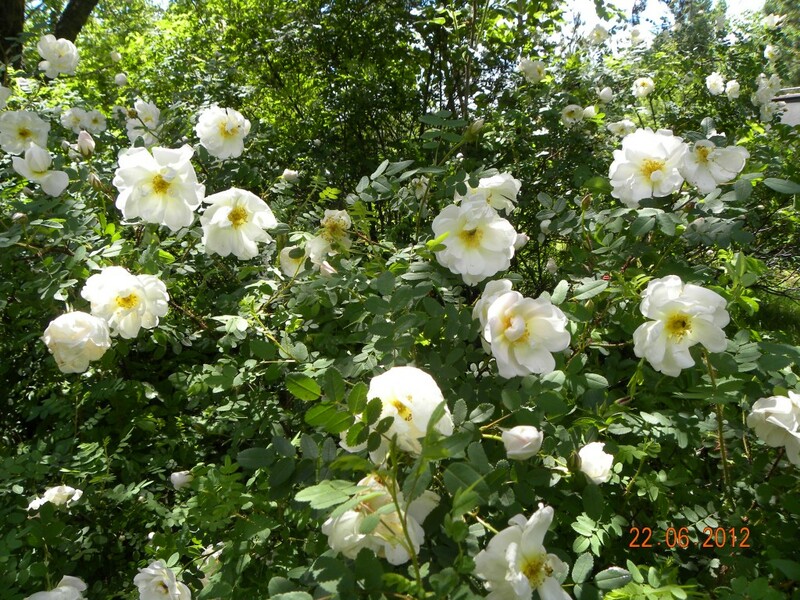 Is it a native wild rose, a landscaping or shrub rose in a pot, or an exotic, delicate hybrid rose offered as a bare root that must be grown in a closely controlled environment? Is it thornless, or a standard rose? There are many hybrids and hundreds of species. 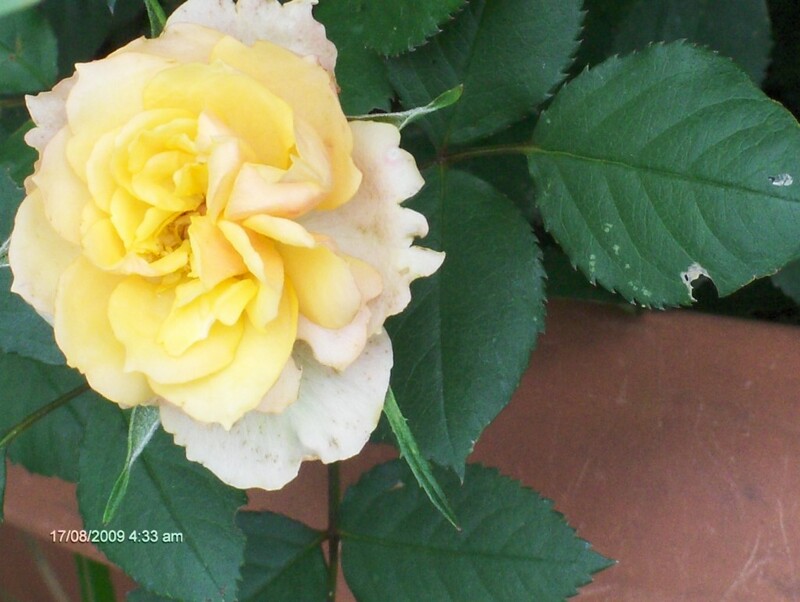 Determine which type of rose it is, and you will be better able to determine and provide the growing conditions essential for it to survive as a healthy, thriving rose bush. Few roses will grow in soggy, cold soil. Regardless of soil type, drainage is essential. If your soil is too wet, consider installing a French drain to enable drainage. (See How to Build a French Drain) Alternatively, consider building raised beds if ground conditions are very poor. Build an elegant, unique rose bed with classic old bricks, pavers, timbers or other cribbing. Fill the cribbing with soil your roses will love - deep, rich, light soil with lots of organic content. Light soil in a raised bed will drain quickly, warm earlier in the spring, and actually help insulate and protect the roots of your roses. If you do decide to plant rose bushes directly into the existing soil, evaluate the type, condition and quality of the soil before you plant. Roses do love soil with a clay or clay loam component as long as it is not too heavy, and roses thrive on soil with a high organic content. Add organic materials to increase the quality and tilth of the soil if your soil is extremely heavy, solid, hard clay, gravel, or all sand. To correct very heavy clay soil, add sand, and peat moss, sawdust or other organic matter such as compost, well-composted manure, straw, or grass clippings to break up the clay. Add some coarse sand if soil is extremely heavy clay, poor draining, rock hard, or very dry, but do not add too much! At the other extreme, if the natural soil is all sand, build it up in the same manner with very heavy applications of organic materials. For roses, the final objective in soil remediation is deep, rich soil with high organic content, hopefully a year before you plant your rose bush in it. How much sun do roses need? Roses are sun loving plants. Roses love full sunlight, but will grow, thrive, and bloom in much less. If your location receives 3-4 hours of sunlight each day, your roses will grow quite happily. Roses also generally tolerate cool weather well, but less hardy species will die back if subjected to freezing and extreme frost penetration. Native wild roses and some old heritage roses seem almost invincible and survive regardless of deep-freeze conditions eight or ten months of the year. Native roses and old heritage bushes do well in cold areas all across North America. In more severe climates, consider planting more delicate roses in locations with a southern exposure. The soil in a rose bed adjacent to your house foundation will not usually freeze. Locating a rose in the unique micro climate on the south side of a foundation may well determine the survival of a more delicate rose. In the fall, mulch the same roses heavily with straw at the feet, and insulate and wrap the bushes to protect the top of the plant. Some roses, in spite of the best efforts, will undoubtedly succumb to an unusually severe cold season. The key in the majority of cases is to be proactive, know the rose type you are planting, but maximize success by planting species that are known and more likely to survive in your location, and then create the conditions required to protect them as necessary. Ideally, roses should be planted when dormant. Most roses, including landscaping roses, shrub roses, climbers and native roses can be planted either in the spring or very early type, condition and quality of the soil before you plant. Roses do love soil with a clay or clay loam component as long as it is not too heavy, and roses thrive on soil with a high organic content. If you have a choice, select roses "potted", or already established and growing in a container rather than bare-root roses. Look for plants that are healthy, green, and undamaged with no sign of disease, and minimal growth if very early in the season. Root systems of potted roses are already usually fairly well developed if grown by a reputable grower, and the plant should appear healthy with no dead branches, or any soft, pale, and excessive early growth, which suggests the rose may have been forced into early growth by the grower to take advantage of the season. Such growth is not usually acclimatized and may wilt and die back completely when exposed to strong sunlight, or when the root systems are disturbed in the planting process. The rose must then develop new buds. Bare-root roses are usually lopped-off, waxed rose scions with one or more stems. The scion or cane has usually been grafted onto a hardy root stock and grown for a year or more in a nursery prior to shipment. They are then lifted, pruned, and placed into cold storage. In the spring, They come beautifully displayed in thin, printed cardboard boxes, (remember the picture?) and the roots are actually packed in a little bit of moist packing fibre in a plastic bag. Such roses typically come to retailers straight from cold storage, and depending upon the storage conditions maintained by the grower and the time of delivery, may have a few tiny buds developed, or many pale, long shoots forming on them. Avoid bare root specimens with excessive blanched, early growth. Such growth suggests early breaking of dormancy, premature growth, and weakened root systems as a result of poor storage conditions. Root development on bare root roses may be discovered to be excellent,-- or minimal, poor and weak. Try to get a peek at them before you take them home if at all possible, and look for healthy- looking scions with apparent buds, minimal shoot growth, and no sign of mold or die-back. Plant Roses Spring or Fall? Spring planting is closer to ideal for planting roses. Establishing satisfactory root systems takes some time after planting, so plant sensitive bare-root roses in the spring as soon as possible when the soil warms. For the best result, they should be planted prior to breaking dormancy. Very late planting of bare root roses, if the rose has already started developing leaves , may not be successful. When a bare-root rose is actively depleting nutrients in the roots by attempting to feed a system of new shoots and leaves prior to planting and nutrient uptake available from the soil, root development may ultimately be sacrificed and inferior. It is worth repeating that time is required to establish root systems satisfactorily. Similarly, extremely late fall planting of either potted or bare-rooted roses may not allow enough time for the new growth to feed the root systems. The root systems then fail to develop sufficiently or allow the rose, with colder oncoming weather, to enter a stage of dormancy necessary to survive the winter. Bottom line for fall planting? 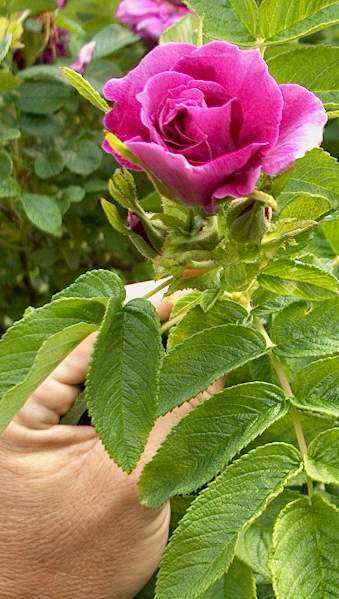 For both potted and bare root roses, plant them as early as possible in the fall. Let's get to it and plant roses ! Leave potted roses to rest in a shady area and water them a couple of hours prior to planting. Dig a hole 6 or 8" deeper than the rose will sit, and much larger than the pot. Add rich, loamy organic soil and make a mound in the center. Pour some water in the hole. Bone meal may be added, but do avoid adding chemical fertilizer when planting, which may damage the roots and prevent the uptake of nutrients. It is far preferable to water in fertilizer after a few weeks, when the rose bush is clearly established, taking up nutrients, growing and established. If the dirt in the potted rose is still rock hard, remove the pot from the root ball and soak the root in temperate water for a couple of hours prior to planting, to avoid damaging the small feeder roots. Loosen the dirt on the roots gently, and tease the main roots out to spread them. Clip off any broken roots with sharp shears. Do not allow the fine roots to dry out as you are planting the bush. Avoid planting at the hottest time of the day. If you are delayed and have already taken the rose bush out of the pot, cover the roots with wet burlap or stand the rose in a pail of water temporarily. When planting, take this opportunity to rotate and orient the plant for the best appearance. If the bush is tall, install a wooden stake solidly in the hole in an appropriate spot to avoid damaging the hidden roots by having to install one later. Potted roses should generally be planted with the crown at the same level it was in the pot. Fill the hole with soil, tamping it firmly around the roots to remove any large air pockets. Tie the bush to the stake if required and water copiously . Prune the bush as recommended, and mulch the surface to prevent the soil from drying out. If you do not use mulch on the surface, water the new rose bush every second day for the first two weeks, and then once a week. Water your mulched rose bushes often enough to keep the soil under the mulch moist, but not soaking wet. To plant bare-rooted roses, inspect the roots carefully when you open the package. The root system should be moist, flexible and healthy. DO return for refund any bare-root plants that look moldy, damaged, or dried out when opened. Growers and retailers alike want to maintain their reputations as suppliers of sound, healthy growing stock and should be eager to replace root stock that turns out to be unhealthy or damaged when opened. 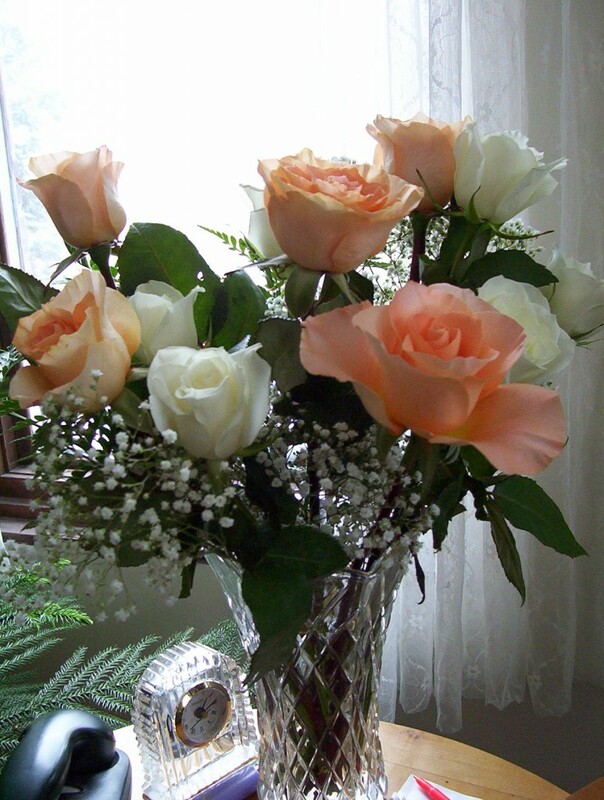 Soak bare-rooted roses in water for an hour or two prior to planting. Bare root roses that are grafted should be planted carefully to help prevent the scion from sprouting it's own roots instead of feeding from the more climate-hardy, disease-resistant root stock. Bud unions, or grafts, with some exceptions, should generally be placed an inch above the top of the soil. The graft can usually be identified by finding a distended or swelled-up area on the stem just above the root. In colder regions, place the rose in the hole with the graft at, or just below the soil level to help protect the graft from frost damage. If you live in a very severe climate, special care must be taken in planting a new rose that has a graft on the main trunk. Bury the rose deeper than usual, so that the graft including part of the new scion is below the soil level about 2-3". Spread the roots, cover with soil just as for potted roses, and apply mulch. Water the same way. Don't forget to provide winter protection for the whole rose bush, especially when it is a new plant, even if it is one of the more hardy species . Do wrap sensitive rose bushes heavily before severe frost in your region. Clip off unwanted soft, late growth, and prune as required, removing any dead branches, branches with galls or any damage on them. If the cuts are large, paint cut sealer on them to prevent molds, virus and insect damage. Wrap the base of the rose bush with metallic window screen to prevent rodent damage, and then use plenty of insulating materials. Do not use non-breathing plastic, which will can cause rot and encourage mold to grow. Use dry straw and burlap or other insulating materials as necessary. Unwrap insulated rose as early as is reasonable in the spring, but after the last frost. Now that you know how to plant roses correctly, maybe that new yellow rose will survive this year. The blossoms might even look like the dreamy, beautiful picture on the box. photo credits © r.a.kukkee all rights reserved. Oh how lovely to see this on this cold night. Thanks, Raymond! 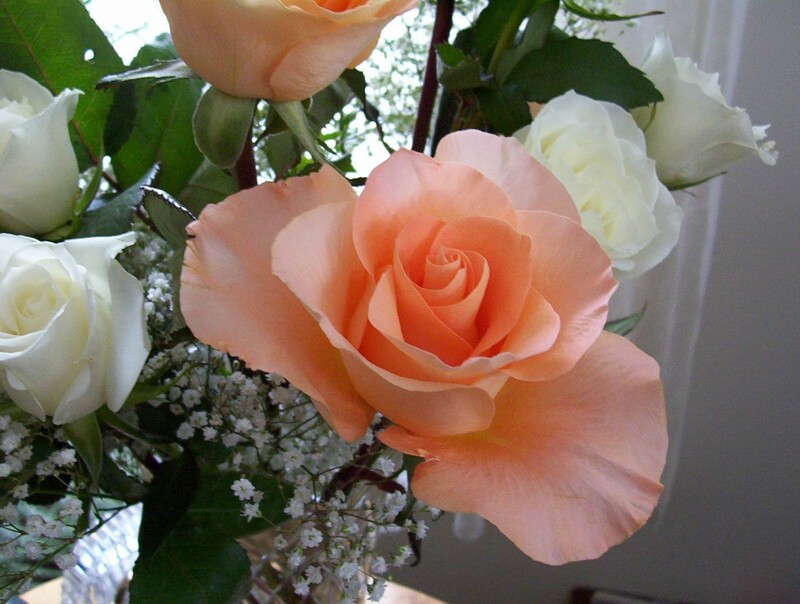 A rose by any other name… great information Raymond!